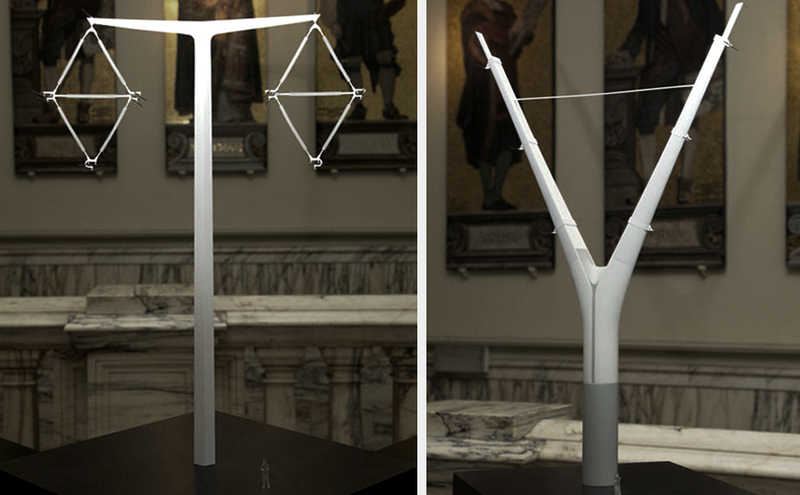 Chalk Studios were asked to produce the models and exhibition plinths for the RIBA new pylon design exhibition at the V&A museum. After 250 entries from around the world, the list was reduced to six finalists whose designs would be exhibited to the public. Each pylon model was built in collaboration with their prospective designers the winner getting £10,000 in prize money, with the nation grid considering developing the winning design for future pylon use. The eventual winner was the T-pylon by Danish architects Bystrup which stands 10m shorter than the current lattice design. The National Grid has tested and developed the concept and is aiming to use a line of six new T-pylons in Nottinghamshire.